The first hour of the meeting was dedicated to developing the Strategic Plan. Goal 1 was completed, and we will continue with Goal 2 at the next Saturday meeting. The Minutes from July 11, 2018 were approved. Kevin Reddy, owner of Blue Print Coffee. Ivanhoe Business Development: Only 2 surveys were completed and returned. Nathan Becker posted on Facebook that something needs to be done on Ivanhoe to beautify it. Pat contacted him, but he didn’t want help from LPNA and intended forming a committee to work on it. 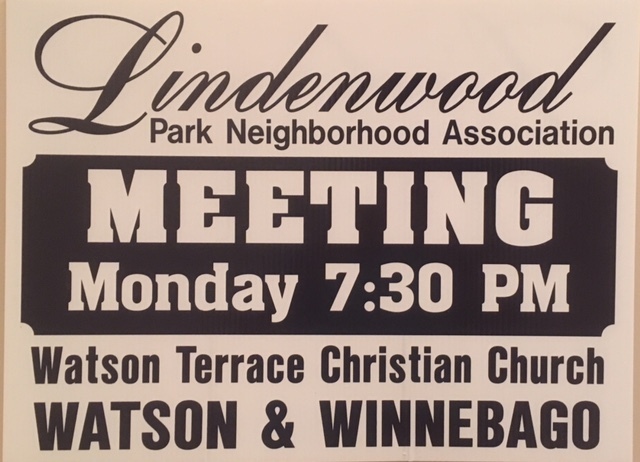 Emily, Pat, Joe, Bobbi Schmidt (Babes Tavern), Nestor Wheelock (South City Computer) and Maude Trost will discuss and look into getting large planters with perennial flowers that businesses on Ivanhoe will maintain. Blueprint Coffee: Up and running and the business seems to be doing well and the property looks good. Tanning Salon on Watson: LPNA was not notified of a permit. There are no restrictions on the permit. Pat to write a letter to Mary Hart Berton as to why we weren’t notified and copy the Mayor’s office. Haffner Building on Ivanhoe: (old Creative Framing building) He would like tax abatement, but the block would have to be blighted. Has no tenants yet. The building is looking good so far. Vape shop on Watson: Joe to investigate if there is an occupancy permit. Building is next door to Royal Banks. Circle K/Traffic meeting: Scheduled for August 15th. Options include a traffic light intersection with handicapped accessibility cut-outs. Cost would be approximately $300k. Will Circle K contribute towards this? Also looking at possible bump outs at the center of Jamieson. Pat will facilitate the meeting. Park grass: Park’s Dept has new grass cutting equipment and we shouldn’t have any further issues. Streets & Properties: The Streets and Properties Committee will meet on August 13th. 6900 Pernod: 2 houses are for sale for $90k each. 1 house is pending under contract. Church on Jamieson: Wendy Barnes is checking to find out how people could move into the house without an occupancy permit. 7081 Pernod: House is still condemned but for sale for $102,900. Price was reduced from $119K. 3818 McCausland: several calls to 911, possible drug house. Police will do continuous surveillance. Emily and Liz have a Google Maps document that shows the layout of the neighborhood and highlights where Block Captains are located. 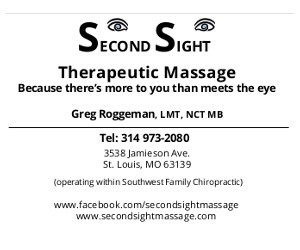 They will make this available to Greg for the website and have it printed out and on display for LinFest. Lindenwood Live: Raising Cane’s paid $500 to co-sponsor Lindenwood Live’s 3rd concert. They will provide their own banner. Pat will have an LPNA banner made for approximately $70 and contact a sign company to have poles installed so that we can hang banners. Food trucks and the band are confirmed. Trivia: 9 tables were sold. $2,000 profit. LinFest: 1 confirmed sponsor and 1 confirmed vendor. Sent out 38 invites to artisan vendors (arts & crafts) – no responses yet. Bike parade is confirmed. Needy Paws will be confirmed after they’ve had their board meeting on Aug 14th. Band, bounce house, slide, bubble bus and balloon artists are booked. Tables, chairs, porta potties and wash stand are booked. T-shirts: T-shirts for LinFest will be ordered in a different color. We are looking at redesigning the LPNA shirts. Carol will speak to Shaun at Kelly Signs and ask them for 3 different designs using the pole banner logo and the old logo. No more than 3 colors and horizontal design. Tweetup: Tweetup’s are set up for August 28 at Edibles & Essentials, September 25 at Aya Sofia. August’s Tweetup will include a collection of sneakers to benefit the charity Rippl. Website: Greg sent out an email asking all Board members to complete the membership form online regardless of whether you are due to renew your membership or not. Only 1 person responded. He will re-send it and asks that all board members complete the form, read the welcome email that is automatically generated and give Greg feedback. Hot Lava: Lindsay would like someone to check the contract to make sure it is correct. Next highway clean-up is scheduled for Sept. 8th. Will need volunteers to help with planting in October at the Wabash garden. Pat will contact Bridget Rodriguez. We are still short 2 Board members. Welcome packs: There are 70 packs to prepare for delivery. Lindsay will prepare the packs and needs help delivering. Royal Bank help at the park: Is this still happening? Carol to investigate. Annual insurance on pole banners was paid to the city – $500. Renewals will be sent out once the Board has reviewed the new email welcome letter. Treasurers report is available quarterly.